Everyone, irrespective of their property, money or asset, needs to make a will. Making a will can save your friends and family a lot of time, grief and money after you have passed away. While it is definitely difficult to think about your mortality, a living will is the best way to be remembered by those near and dear to you. Here are some strategies to guide you on how to make a valid will in Australia. A will is a legal document that will contain a complete list of how you want your assets to be allocated. This will help your family members avoid possible disagreements over the fate of your personal assets. A will is essential because it is one of those are legal documents where you don’t have to explain your intentions. It is an all-conclusive statements of your wishes regarding your assets and your last rites. Also, you can appoint a will executor who will ensure that they carry out your wishes and close your estate. If you die without a living will (known as “dying intestate”), the court is at a liberty to divide your assets as it deems fit, which is by a certain legal formula. Also, the court charges your estate processing fees and taxes which could be avoided with a living will. Simply put, right now. You never know when disaster strikes. You have the option of making a new will and then updating it later on: courts will use the latest version. Wills are an important part of your financial planning and should be done at the earliest. Templates for wills can be easily purchased online. You can complete these yourself and this is how you can make a will without attorney. Do I need a will solicitor? A will is very easy to write if you have a simple family (beneficiary) structure. If you think you are adding too many complex clauses or find the whole procedure very emotional, you can seek the help of a will solicitor. Otherwise, the court will try to uphold your wishes as best as they can if everything is clearly defined or you are following a legal template so no estate attorney is needed. The simplest way is to purchase a legal will kit (easily available online). Your will kit will contain places for all necessary information. Write these lists in avid detail – consider all possibilities (and even think about people you wish to leave out intentionally and list the down). Who will be my executor? Your will executor is a person chosen by you to be in charge of the correct apportionment of your assets. This person needs to be an adult, and ideally someone you trust and is able to make decisions in your stead, if needed. It is preferable to choose two will executors just to be on the safe side, as one may not be available or willing when the time comes. Two executors can also share the responsibilities associated. Can a beneficiary also be an executor? Do I need to pay the executor? Yes, a beneficiary can also be an executor. In fact, an executor who is a beneficiary will have a vested interest in seeing that your estate is looked after well and distributed properly. However, an executor doesn’t always have to be a beneficiary. For instance, your lawyer or a bank may be a beneficiary. They will, though, claim a small fee for the dealings and administration of your will. This is an advantage if the executor is also a beneficiary as they will then forego a fee. 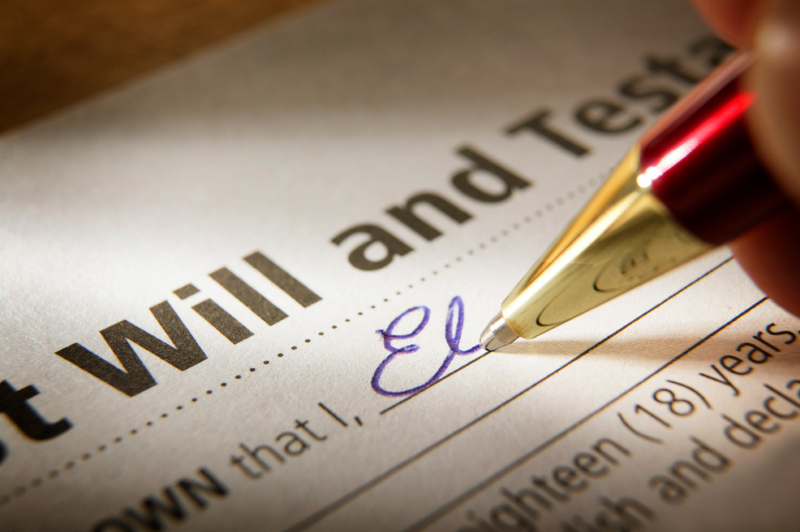 Mirror wills are basically identical wills that the same beneficiaries inherit. For instance, a husband and wife may have mirror wills that leave everything to the surviving spouse and to their children. The only difference is the name of the testator (person who is making the will) and the signing witnesses.